This is travel based website, which provide a overview about the different places of rajasthan , describe their culture, places and provide the best facilities for the travel. This is website of travel based company, Its shows all the services provided by the company like car availability, hotel reservation, guides for various languages, internal and domestic air ticketing, and people can make their reservation online. This is advertise experts company based website which use different kind of ways to advertisement. This is handicraft’s company website. Which describe all kind of handicraft products which have made in stone. 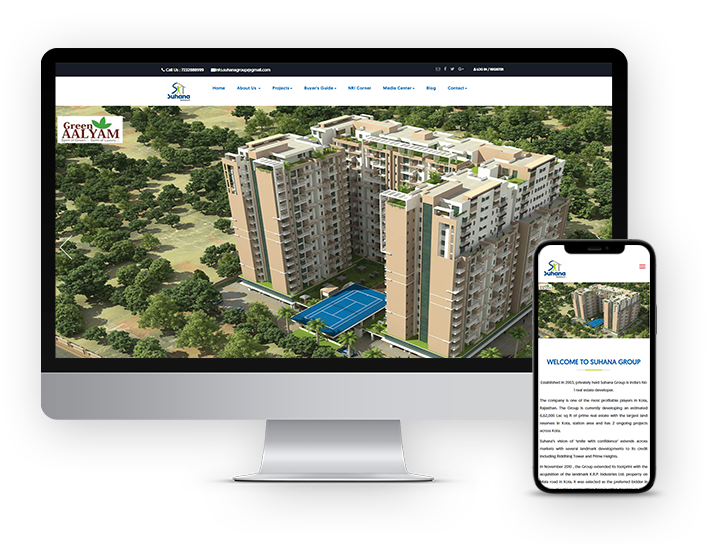 This website deal in real estate and shows their all projects like their on-going, completed projects, and upcoming projects.